Christmas day – spent the day at my uncle’s house, with other relatives, most of which are from the father-side. 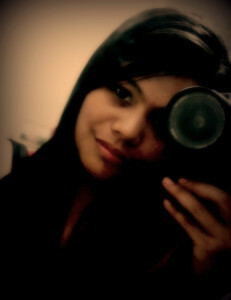 Nagmukmok ng konti, but tried to shrug the sadness away by playing with my pamangkins and younger cousins. December 26-27 – Family road trip!!! That was what I really needed that time! Thanks to my family! :D But they didn’t know that I was heartbroken then hahaha! sikret lang yun! :D With a multi-cab, we started the trip by going to Ozamis Seaport where we will be boarding on a barge going to Lanao del Norte. My first time actually to get into a barge. Sinakay na rin namin yung multi-cab sa barge hehe! 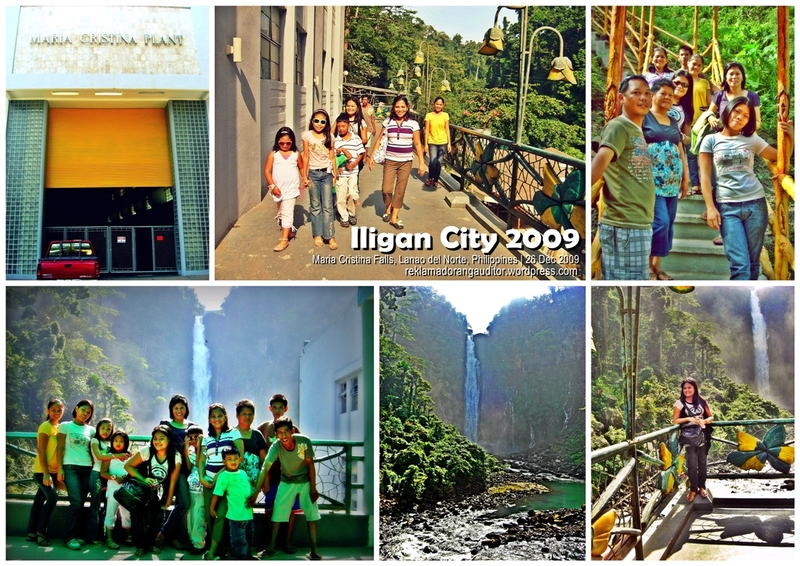 Our first stop was at the famous Maria Cristina Falls, in Iligan City. 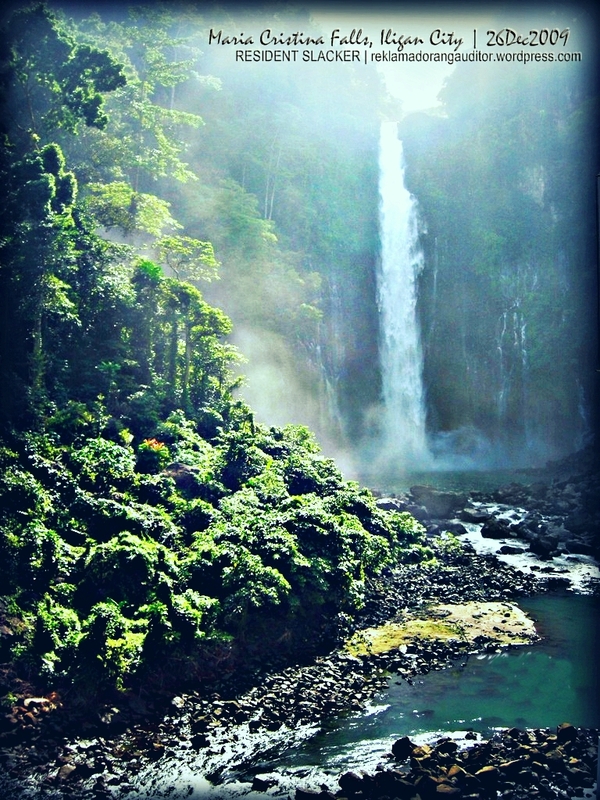 The Maria Cristina falls is easily accessible; it’s a few minutes away from the hi-way. I was very eager then to be finally seeing the famous falls that is the source of electricity in the major part of Mindanao! Hehehe! Swimming and/or going near the waterfalls is prohibited so we just had some picture taking right outside of the power plant, with the falls as our background. During that time, facilities such as zip line, are still under construction so we weren’t able to try them hehehe! tska medyo nkakatakot subukan kung saka-sakali hahaha! So after a couple of minutes, we decided to leave the place and continue with the road trip. Initially, we considered going to Tinago Falls also, but for some reasons (inaccessible via multi-cab or whatever), we did not push through with that plan. 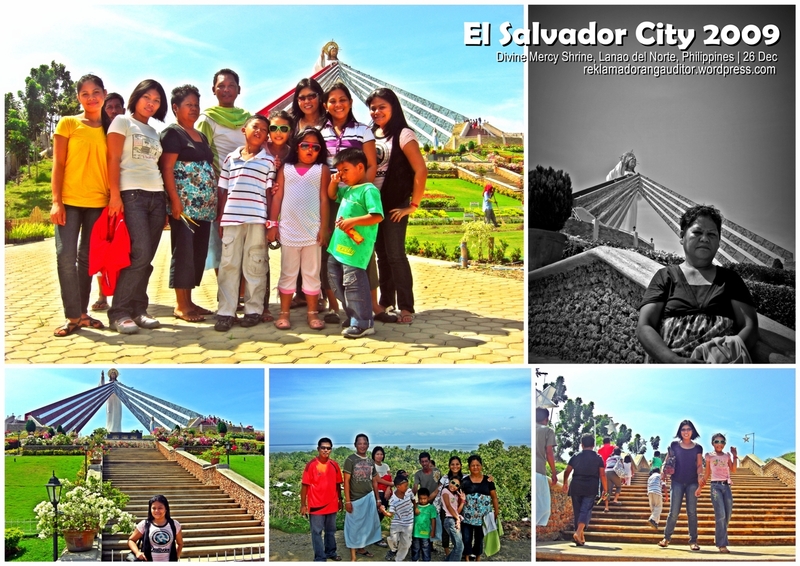 So off we went to another city in Lanao del Norte—El Salvador City! 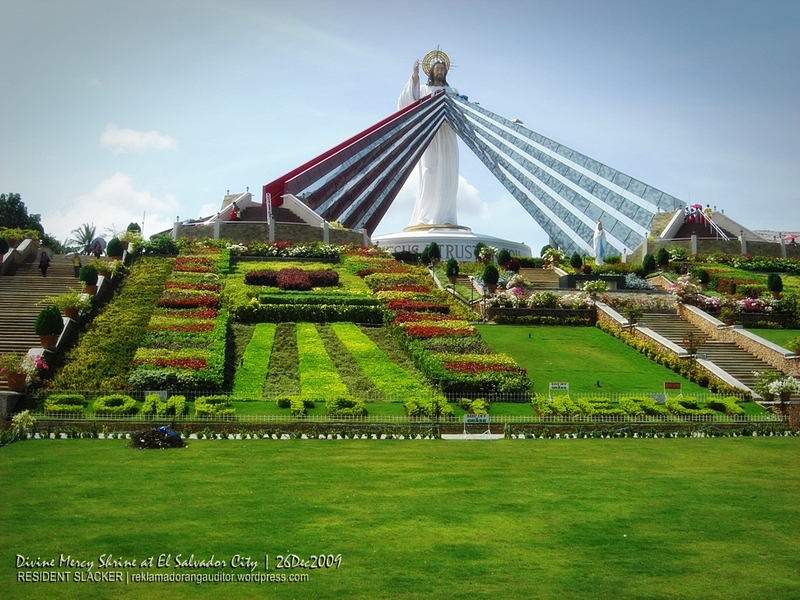 The Divine Mercy Shrine in El Salvador City Misamis Oriental, Philippines is located in Divine Mercy Hills, overlooking Macajalar Bay on the Mindanao island, southern part of the Philippines. Candle vendors are all over the entrance of the shrine, selling their colorful candles (na may meaning bawat kulay ehehe) to visitors/devotees. By the way, visitors are not allowed to wear revealing dresses and shorts when inside the sacred shrine. At the entrance of the shrine, gartered skirts and pullovers are available for the visitors to cover those shorts and sando. Look at my bro’s outfit. :) Visitors/devotees are also advised to observe a holy atmosphere, and not to treat the place as a picnic ground. 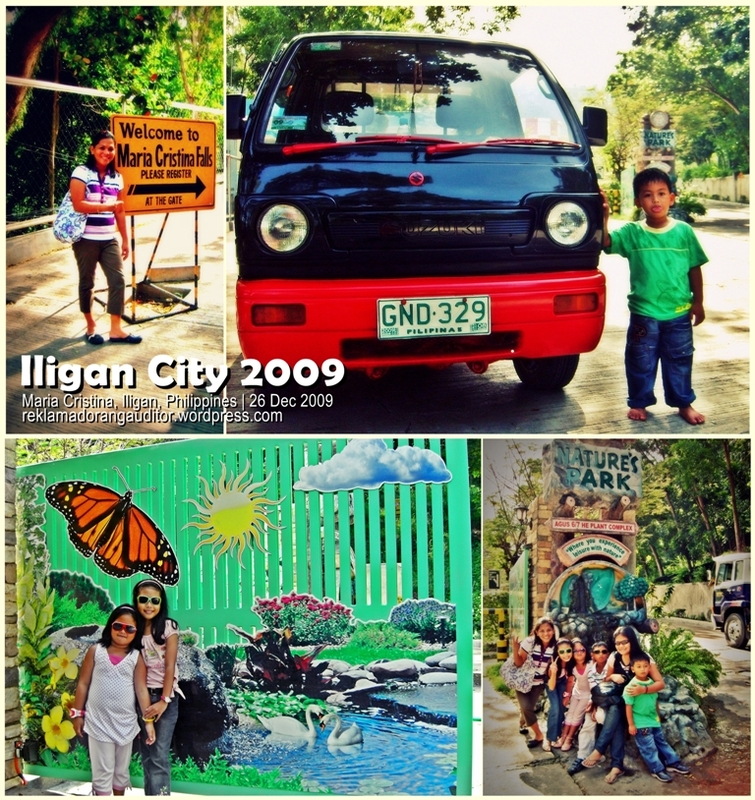 After this site, we then went to Cagayan de Oro City (CDO). It was my second time around CDO (the first time was during an inter-school competition back in college), but I haven’t been able to try the whitewater rafting here hehehe! And it was not in our itinerary also during that second visit (kung hindi matatanda yung kasama ko, eh puri mga bata hahaha!). So malling at pamamalengke na lang ang inatupag namin maghapon. 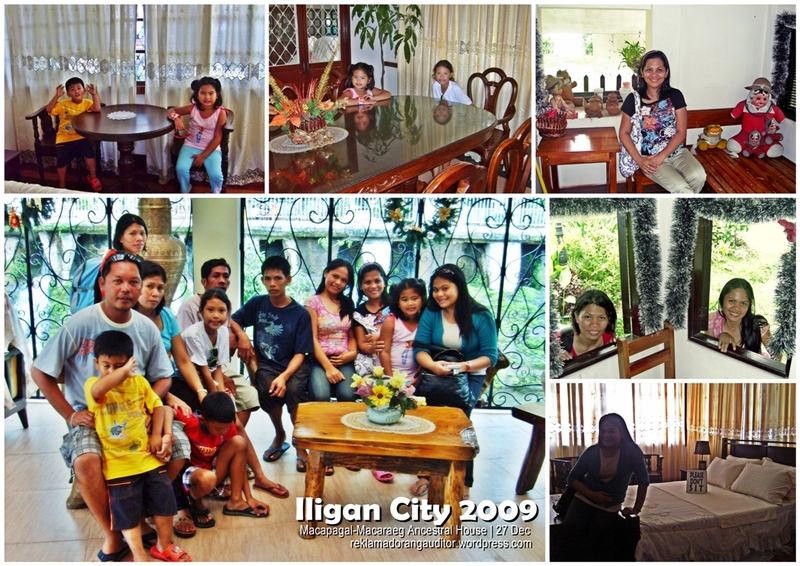 After Cagayan, we went to Bukidnon just to pass the night away at my brother-in-law’s Aunt’s house. Foodtrip lang ang inatupag namin dun at ang napakalamig na weather! ehehe! We didn’t have the chance also to tour around Bukidnon the following day as we have to go back to Ozamis City before the day ends. 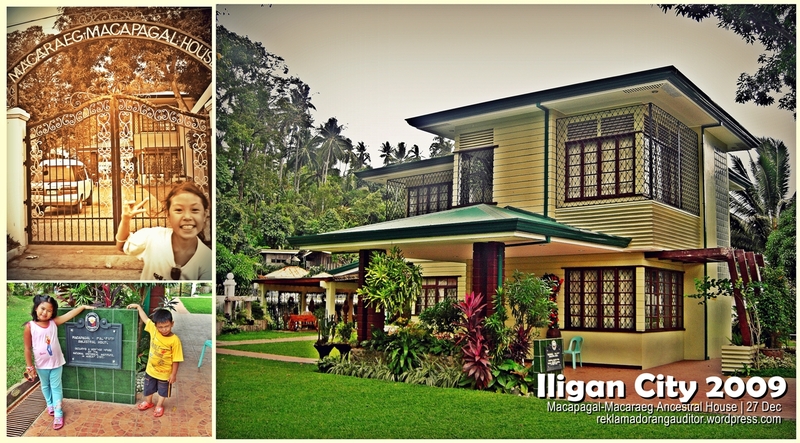 Timoga Springs is a group of springs located at Timoga-Buru-un, in Iligan City, Philippines. It is well known for icy-cool, crystal-clear springs that flow freely to swimming pools of different sizes. There are approximately five spring resorts along the highway, which is easily accessible by land to all locals and tourists. After lunch, we headed on to this famous spot in Iligan. We went inside the house and saw big pictures of the family, statues and sculptures, mga sandata na regalo ng mga maimpluwensyang tao! Hahaha! Ewan ko anung issue, but my ermat didn’t go with us inside the house hahaha! nagbantay lang sya ng sasakyan sa hi-way. hehe! After touring around the ancestral house, off we went to the Lanao Seaport to take the barge back to Ozamis City! Whew! Whatta trip!